Posted: March 6, 2018 in Rodways Repco Recollections, Who,What,Where & When...? 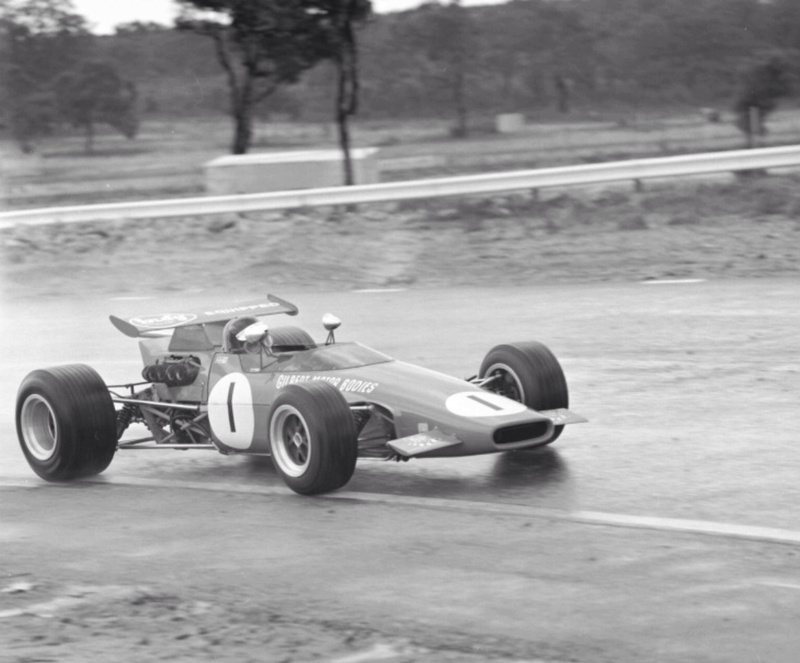 ‘Motor Racing Royalty’ in Australia are any Australian cars powered by Repco Brabham V8’s in my book. There are only four single-seater road-racing cars so built- 3 Elfin 600’s and the Rennmax/Bob Britton built Jane Repco. 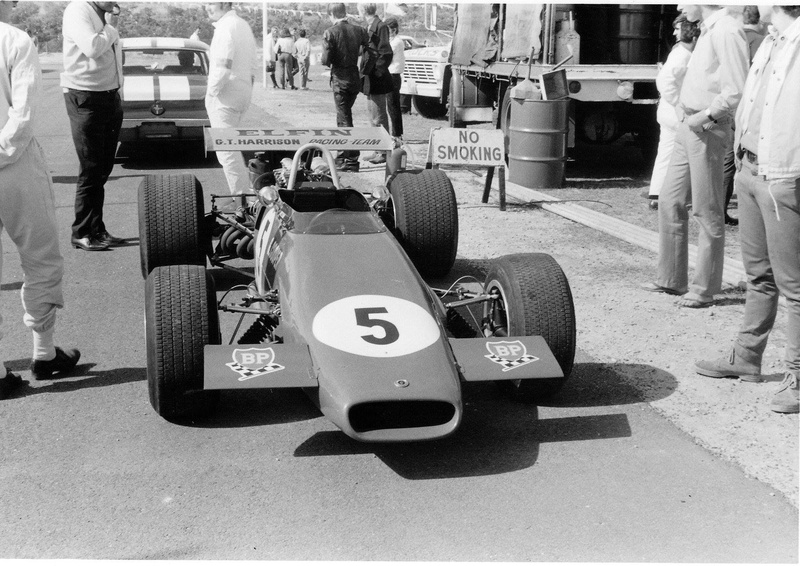 Of all the Australian built Repco Brabham V8 engined cars- single-seaters and sportscars, to me the most desirable is this particular car, Garrie Cooper’s 1970 works machine, Elfin 600D chassis ‘7012′. There is a spot for it in my garage. 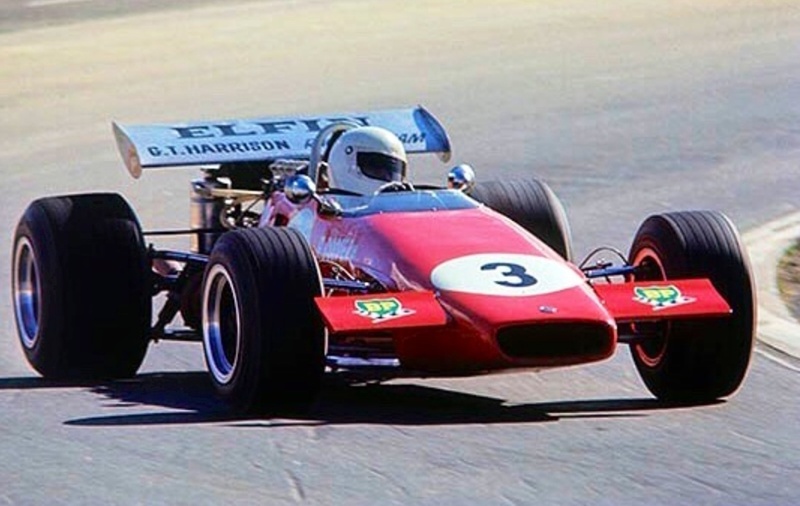 Few racing car designs have won success in Formula Ford, F3, F2 and F1- well, ok, Australian National Formula 1- the Elfin 600 variants 600, 600B, C, D and E are such cars. If Cooper and his band of merry artisans in Conmurra Avenue, Edwardstown, South Australia had built a Formula Vee 600 (his FV of the day was the Elfin 500) he literally would have had covered all Australian single-seater categories with variants of the one spaceframe chassis design! I have an article half-finished on the Elfin 600. I was going to pop these wonderful shots of GC and ‘7012’ taken during the WA Road Racing Championship meeting at Wanneroo on 3 May 1970 into it but they are too good to lose in a longer feature. Elfin and Garrie Cooper bias hereby declared, not that I am alone in that regard. The final Tasman 2.5 ANF1 year was 1970, Cooper built the car for his own use that season but didn’t take a Gold Star round win in it. 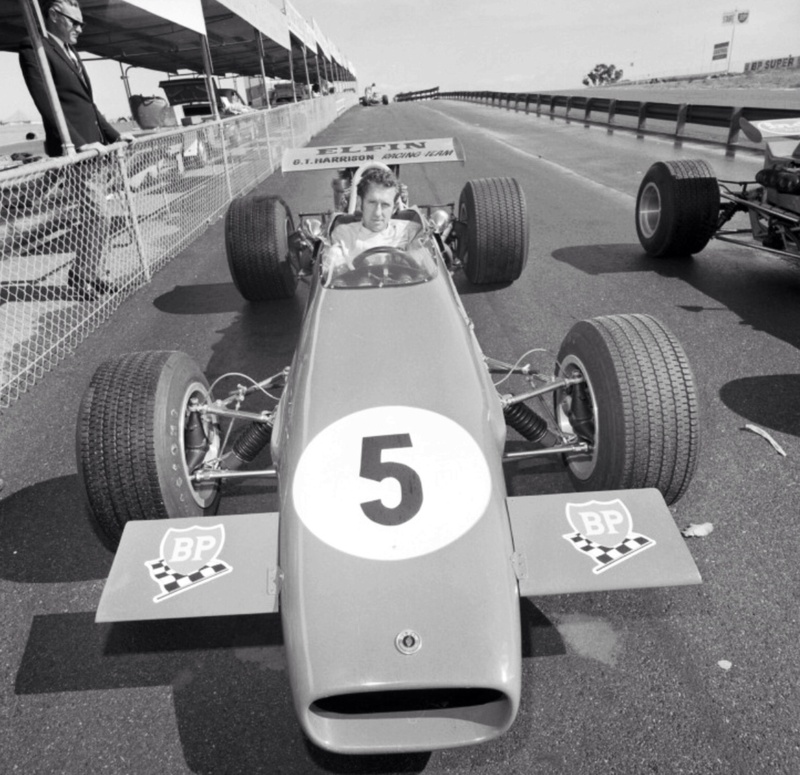 Leo Geoghegan won the coveted title in a 2 litre Waggott powered European F2/Formula B chassis Lotus 59 taking two wins, there is a certain amount of irony in that as Leo had raced the ex-Jim Clark Lotus 39 powered by various Repco engines since 1967. If anybody deserved a Repco powered Gold Star championship victory it was the popular Sydneysider! 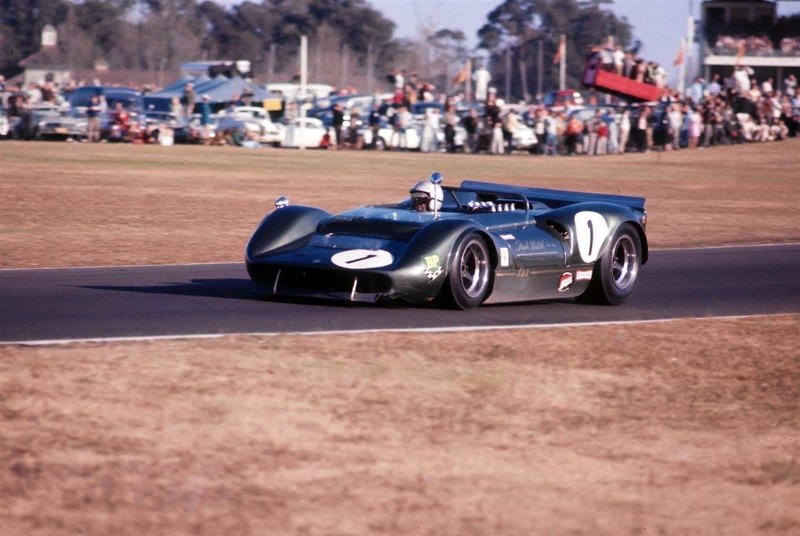 Max Stewart won another two ‘Star races in his similarly Waggott 275 bhp powered Mildren and John Harvey also took a couple in the other new for 1970 Repco Brabham engined car, the Jane Repco. The Jane, like Cooper’s Elfin was powered by Repco Brabham ‘830 Series’ V8’s, RBE’s ultimate spec Tasman 2.5 engine. 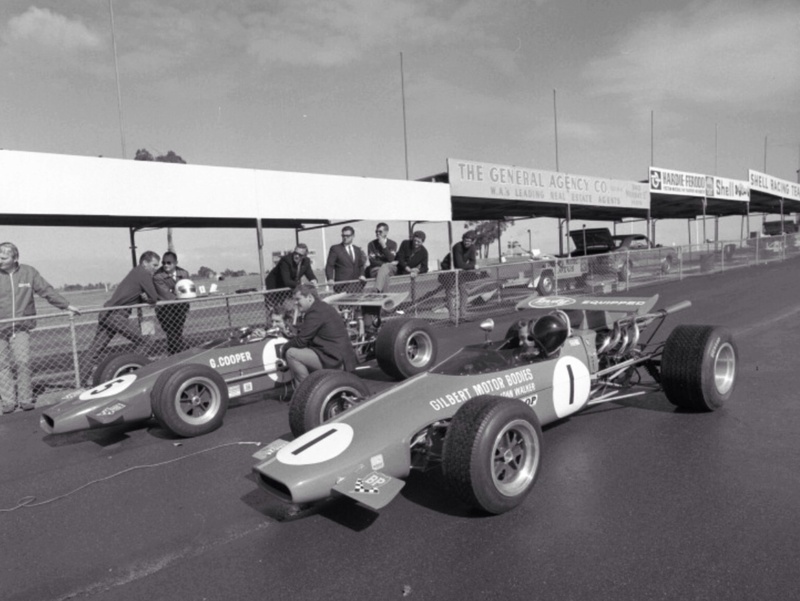 These babies made their race debut in the back of Jack Brabham’s BT23E in the 1968 Sandown Tasman round- the specifications included the ‘short’ 800 block (’68 F1 issue) SOHC, crossflow, 2 valve ’30 Series’ heads as well as Lucas fuel injection and all the usual Repco goodies. The engines have a bore/stroke of 3.34/2.16 inches and produced 295 bhp @ 9000 rpm with a big fat, Repco mid-range band of torque. They weighed 330 pounds and hit the road via Hewland FT200 gearboxes. Cooper was a fine driver, he won an Australian 1.5 Championship together with Max Stewart and an Australian Sportscar Championship as well as a Gold Star round at Mallala in 1969 aboard a 600C Repco, but he wasn’t an ace. ‘7012’ in the hands of Kevin Bartlett, Stewart, Geoghegan or Harvey was a Gold Star winning car, make that 1970 Tasman Championship winning car in Bartlett’s hands if a dose of Repco reliability was thrown into the mix. The Wanneroo Park meeting was not a Gold Star round but Garrie and another South Australian Elfin 600 ace and future AGP and Gold Star winner John Walker made the trip across the Nullarbor from Adelaide and took first and second places in the WA Racing Car Championship ‘Carbon Brakes 500’ with ex-Brabham employee Bob Ilich third in his Brabham BT21B Cosworth SCB. 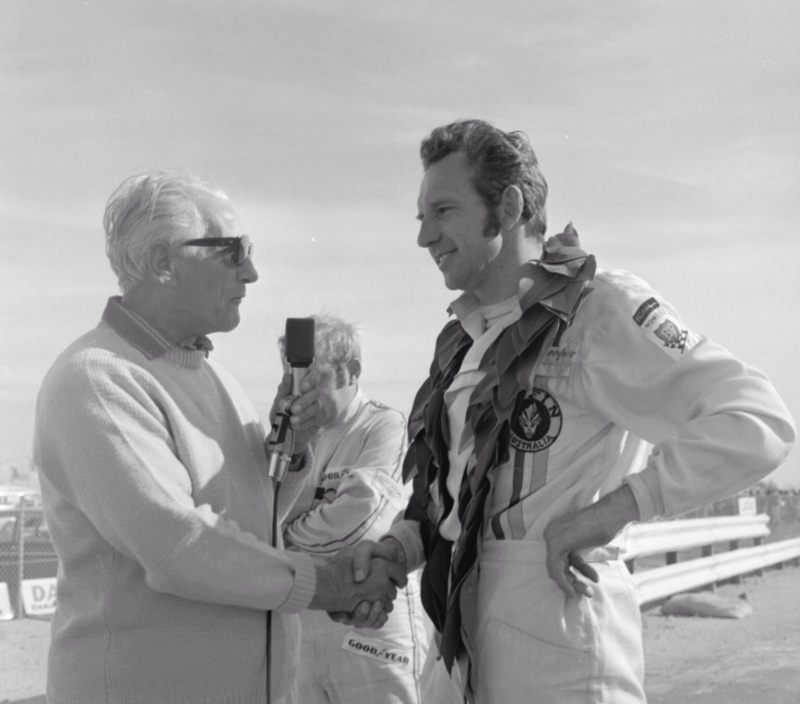 The meeting had an eight race card, the ten lap Touring Car and Sportscar Championship events were won by Peter Briggs in the ex-Norm Beechey Holden Monaro GTS327 and Howie Sangster aboard Don O’Sullivan’s Lola T70 Mk2 Chev respectively. Brabhams are excluded from the list of Australian cars fitted with 2.5 Repco V8’s, they are Pommie cars however much some of us Aussies like to claim them as ours. Sure Motor Racing Developments was owned by Jack Brabham and Ron Tauranac, an Australian domiciled Brit, but the cars were designed and built in the UK- so lets be fair folks! 7 Brabhams (BT11A, BT14, BT19, BT22, BT23A, BT23E, BT31) were built with or modified to accommodate RB 2.5 litre V8’s as was 1 Lotus- the ex-works 39, the stillborn Flat 16 Coventry Climax FWMW chassis converted to Coventry Climax 2.5 FPF engined form for use as Clark’s 1966 Tasman car. To the list of 4 Oz built Repco 2.5 powered single-seaters should be added ex-RBE engineer, Peter Holinger’s 2 hillclimb cars, ‘Holinger Repco’, have I forgotten any others? Before digressing further from the story I started with, all three of the Elfin 600 Repco’s built still exist- 600C ‘6908, ‘7011′ and 600D ‘7012’ with two of them ‘runners’ and one (7012) in the process of being rebuilt/restored. The Jane Repco chassis still exists in a WA Museum but is no longer Repco powered. As to the Australian built Repco engined sportscars, I think there were 10. They are as follows- shown are build years, car type, number built, Repco engine originally fitted and first owner. To get a complete list, the following non-Australian built sportscars should be added- 4. The sportscar list is dangerous as it is pulled out of my head, that will trouble some of you! but do help me with the research as there is no such list currently. Let me know cars I have forgotten and we can update the schedule. There were 12 single-seaters to which Tasman 2.5 V8’s were fitted- 3 Elfins, 1 Jane, 7 Brabhams and 1 Lotus. Lets not forget Peter Holinger’s 2 4.4 litre 620/720 engined hillclimbers. There may have been some ‘climbers in the UK? 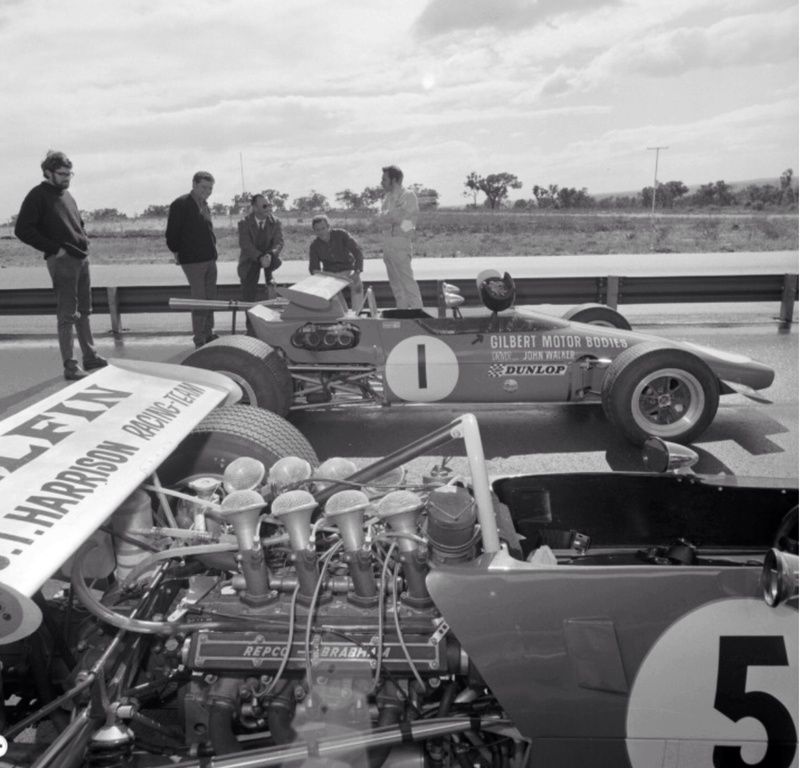 There were 14 sportscars to which a range of Repco Brabham V8’s were fitted as above. For the absence of doubt, as the lawyers are inclined to say, this list does not include cars powered by Redco Pty. Ltd. built Repco Holden F5000 V8’s just the Repco Brabham Engines Pty Ltd built motors, the list above also excludes RBE F1 and Indy V8 chassis lists. To nail my colours completely to the mast, the most lustworthy of the Repco engined sportscars to occupy my garage alongside Elfin 600D ‘7012’ is, probably, a Matich SR3. I’ll have the second of two chassis fitted with RBE 4.4 620/720 V8’s with which FM contested some ’67 Can Am rounds and then returned home to dust up Chris Amon’s ex-works Scuderia Veloce Ferrari P4/350 Can Am V12 in the ’68 Australian Tasman round sportscar support events.